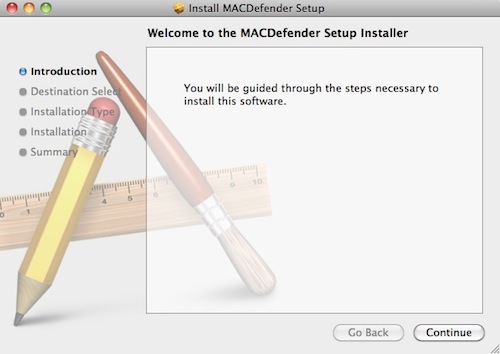 PSA: Mac OS X Users Are At Risk For Malware Called MacDefender! Hey guys, there seems to be a new piece of software that is attacking Mac OS X systems. This new malware is called “MacDefender” (this is not a virus) but it will corrupt files if you allow it to! Now, I dodged a bullet because before getting this news bulletin, the MacDefender pop-up showed up on my Mac. Luckily, seeing as I am super OCD, I had the correct settings checked/unchecked in Safari so the forced download wasn’t opened. This malware is appearing in virtually any Google search, even for non-explicit materials. I was searching on the latest on the Osama Bin Laden story across NBC & CNN and that pop up appeared out of nowhere. 4. Run a Spotlight search for “MACDefender” to check for any associated files that might still be lingering. So there you go guys. Be safe on the internet and never open anything without verifying that the certificate is from a trusted authority.